Fenugreek has a rich folk history as both a food and a medicine to nourish a weakened system back to health; it has been much used in convalescence by some cultures. Medical indications for Fenugreek largely come from Ayurvedic and Chinese medicine where it is believed to help prevent and treat arthritis, improve libido and increase milk in nursing mothers. 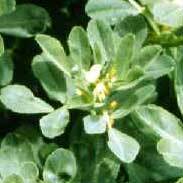 Fenugreek has been used for kidney complaints in traditional Chinese medicine for at least 1000 years. 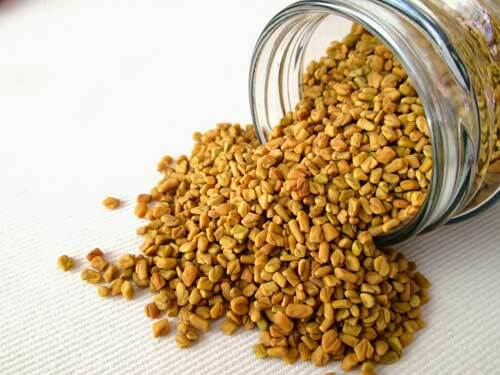 In the Western herbal tradition Fenugreek is thought to provide a soothing, demulcent coating over the lining of the digestive tract and in this system it has mostly been used to support a weakened or inflamed digestive system; typical indications for this kind of action include gastric and duodenal ulcers, diverticulosis, irritable bowel, Crohn's disease, fistulas, colitis and dysentery. 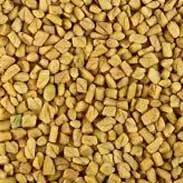 Fenugreek is very safe to take during pregnancy and breastfeeding (where it has long traditional use to increase the supply of milk). It may safely be taken by the young or old but note it may be something of an acquired taste for some! With respect to the interesting potential for its use for excess blood sugars and blood fats the way I personally use Fenugreek is as a warming and stimulating herb for people who are depleted and need to build up their blood and strength. 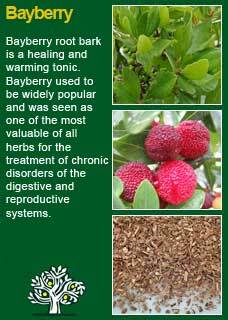 Here it can be seen that quite small doses are remarkably stimulating to the digestive system and the use of Fenugreek for even just a few weeks can be tremendously fortifying to a person who has become weakened by illness or loss of physical condition. 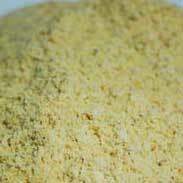 Fenugreek is a very strong-tasting herb, I recommend that people take it before food and then consciously allow its taste and action to penetrate. Even if you feel some aversion to its strong presence at first, be patient, and observe what is happening in your body. Assuming Fenugreek is the right herb for you; if you do this with an open mind I think you will feel a rather remarkable 'activation' of your digestion, a little like stoking up a fire. 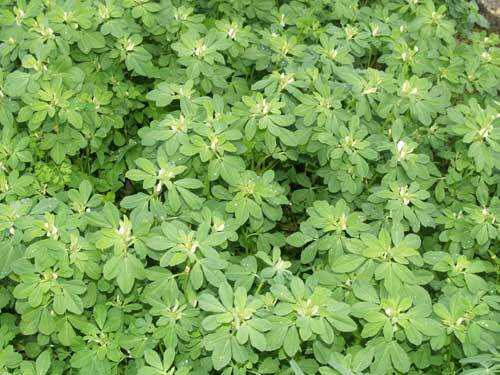 Using a herb like Fenugreek to improve digestion can be a profoundly healing process for the body. Once we start digesting and absorbing our food better our ability to heal from almost any kind of illness or to simply recover our health is vastly improved and this is personally where I feel the great virtue of Fenugreek lies. 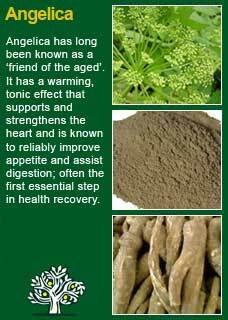 As a tincture which is how I mostly use this powerhouse of a herb I have found that just small divided doses are usually ample to achieve the tonic effects we desire. 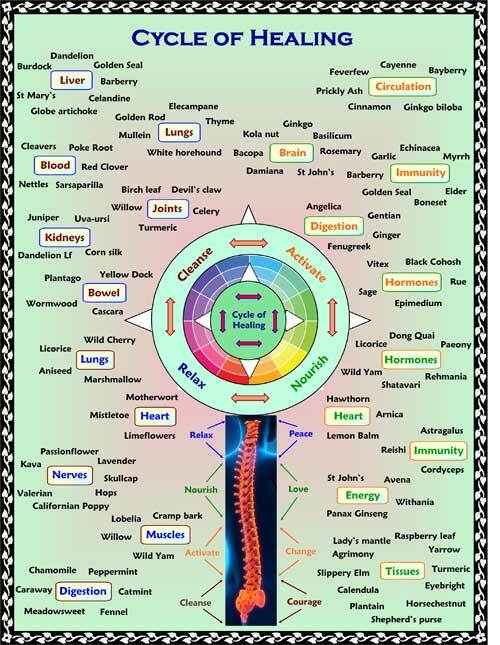 For example, as little as 5-10 drops in a formula alongside other herbs, taken before food, can have a potent action without overpowering the senses. 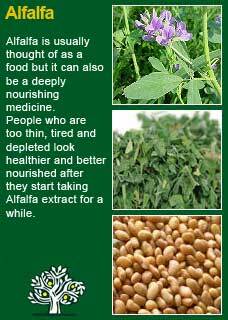 Fenugreek can combine particularly well with Alfalfa for anaemia or loss of physical condition, with Bayberry for problems involving poor circulation and with Angelica for a weakened digestion. 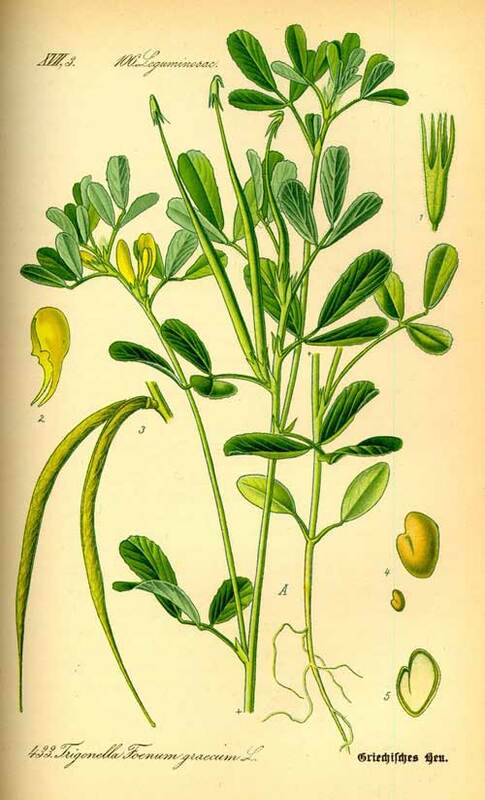 Much of the information here about the traditional uses of Fenugreek is consistent with the model of thinking whereby one may treat problem A with plant B. There is value in this approach, especially in how it helps us pass on useful knowledge to one another, but it falls short in one vital area; and that is that people are not all cut from the same cloth! Something that works brilliantly for one person may do little for another -- why is this?